I know this title sounds a bit dramatic, but it’s the truth – the college essay can truly make or break your acceptance into your dream school. With college application season upon us, seniors are scrambling to improve or enhance their applications however possible. But if there is one thing you should pay more attention to, it is the college essay. Consider the fact that many applicants appear identical on the surface: similar GPA, similar courses, similar ACT scores, similar activities lists….. The crazy reality is that many other students out there have done the same things as you! So how do you stand out in a crowd of hundreds of other applicants? The college essay. 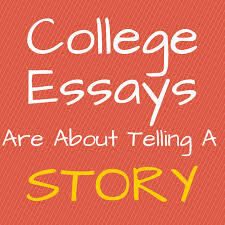 The college essay will make or break your application. It is the only opportunity (outside of the interview) to actually tell admissions about who you are and let them get to know you. The essay that catches a reader’s attention will be remembered. The reader will feel a connection to you as a person, not just an application. And when it comes time to make the decision between 20 similar applicants, they will always choose the person they liked and remembered through the college essay. So take advantage of this opportunity to create a fantastic, personal essay. Use the essay to teach the college about who you are on a personal level, what matters to you, and why. Leave them with a lasting impression so they feel a personal connection. It is much easier to accept a person over an application. Academic requirements for college are often different from high school graduation requirements. Be sure to stay on track for your college goals by following this academic guide. Note: Be sure to double check academic requirements at specific colleges that you plan to apply to, but this should be sufficient for the vast majority of college’s academic requirements. As you prepare for college admissions, you may want to consider applying early. Early applications have an earlier due date and in turn, the applicant receives an earlier admission decision. There can be advantages to applying early but it is critical to understand what type of early plan you are applying under. Typically these plans include Early Decision, Early Action or Single Choice Early Action. Early Decision is a binding application. If you are accepted to the school, you must attend (assuming you are offered sufficient financial aid). You cannot apply to more than one school under the Early Decision plan. You can apply to other schools as Regular Decision but you must withdraw those applications if you are admitted to your Early Decision school. Early Action is a non-binding application. It is similar to Early Decision but less restrictive. You can apply to multiple schools Early Action. You can also apply to other schools as Regular Decision. Single Choice Early Action is a new plan being used by some schools. It is a non-binding application. But you can only apply to one school Early Action. The rest of your applications must be Regular Decision.